Teaching your child to learn how to drive can be a scary and surreal experience. On the one hand, you’re happy for their independence, but on the other, your maternal instincts are nervous to know they’ll be out there on the road alone. There are plenty of manuals and online guides to help teach your children how to drive, but they also need to know how to manage a car like an adult. Robert Foss, a senior research scientist at the Highway Safety Research Center of the University of North Carolina, conducted an analysis of 257,000 crash records and found that teens were making serious mistakes several months after they began driving unsupervised (including driving over a curb, running a stop sign, and pulling out into oncoming traffic). You want your children to be as well-rounded as possible when it comes to understanding not only how to drive, but how to behave in all types of situations, behind the wheel and outside of the car. Teaching your kids about insurance gives them a sense of responsibility. From a teen’s perspective, it can be easy to think of driving as just that: driving. That don’t see any of the work that goes into owning and operating a car legally. You want them to understand that the monetary price of owning a vehicle and/or driving costs more than just several gallons of gas. Teach them about how car insurance quotes work. Let them know that getting into any accident—no matter how small—can dramatically change the cost of insurance. You’ll also what them to understand different types of coverage, the definition of deductibles, and how the numbers break down. The more aware they are about how car insurance works, the more prepared they’ll be to take care of these matters on their own when it’s no longer your responsibility. A study conducted by Jessica Mirman, a research scientist at the Center for Injury Research and Prevention at Children’s Hospital of Philadelphia, found that parents who followed the center’s driving program when teaching their teens how to drive did much better than those that did not. 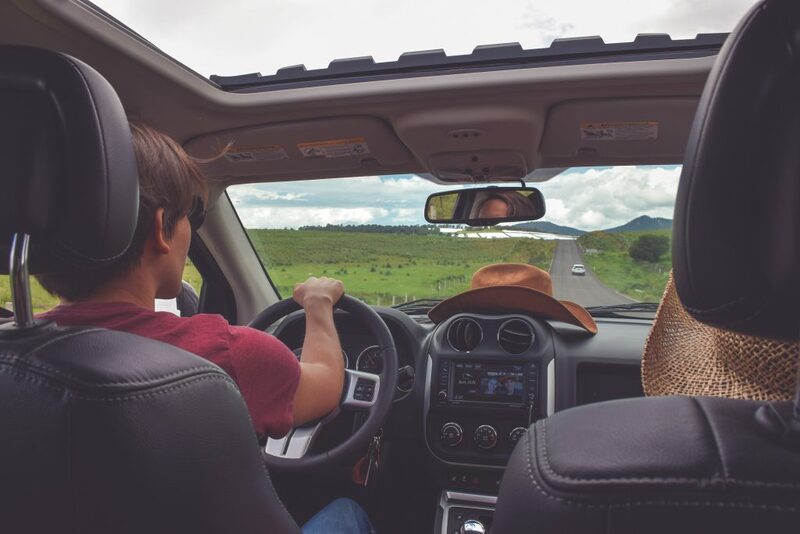 The program, called the TeenDrivingPlan, encouraged parents to drive with their children on varied roads (back roads, turnpikes, crowded roads, and highways) and in bad weather. This versatility allows them to understand more about how to operate vehicles on all types of settings. A study based on the TeenDrivingPlan found that teens who followed it performed better on road safety tests afterwards than teens who did not. Knowing basic car maintenance allows your children to be in better control of their circumstances no matter where they are. Some of the three main car maintenance tips they should know are: how to change a tire, how to change their oil, and how to fill air when tire pressure is low. These might seem like intuitive things to you, but can make a first-timer very nervous. Open the hood of the car and show them different areas. Additionally, teach them about preventative car maintenance and the importance of getting consistent checkups. Next time you go to get your car serviced, have them tag along and encourage the auto shop to tell your child what they’re working on and why. In the event of an emergency, your child’s response is critical. Teens have the highest rate of car accidents, and the more they understand about how to respond, the better off they’ll be. For starters, have them save phone numbers to roadside assistance in their phone. This way, they aren’t scrambling trying to research the nearest tow service during an emergency. You’ll also want them to understand that, in the event of an accident, it’s important that you move to the side of the road if possible. And lastly, help them understand that breathing techniques during an accident can help them stay calm. It’s natural to panic during an emergency, but the right meditative movements can help ease the overwhelming feeling of anxiety and fear. As a parent, you’ve become well accustomed to driving and know how to ignore the many road distractions that occur every day. In fact, you’re probably so used to avoiding them that you might not notice them at all. But the fact is, distractions are happening, and your children need to know how to avoid them and focus on the road. One of the biggest distractions is the cell phone. Under no circumstance should they be responding to texts and answering calls. According to the National Safety Council, cell phone distractions account for 1.6 million crashes every year. Newer car models have bluetooth capabilities for hands free, but even early drivers should avoid answering at all. Other distractions you want your child to be aware of are roadside accidents (looking over at an accident can lead to making your own mistakes), and studying GPS routes while in motion. Great tips and advice. I have a son coming up to the age where this is important and I wasn’t sure where to begin so thank you. Avoiding distractions seems to be the most difficult point to get across these days, sadly.